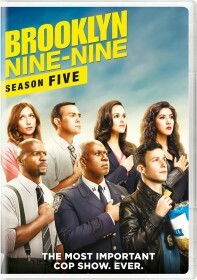 You are viewing a list of Bob McCracken's 1 appearance on Brooklyn Nine-Nine. Jake's debts finally catch up with him and put him in danger of losing his apartment, unless Gina finds a way to bail him out. Meanwhile, Captain Holt and Sergeant Jeffords hold performance reviews for everybody at the precinct, and Rosa and Boyle have a conflict with one of the weekend officers.